Billionaire businessman and philanthropist Michael Bloomberg is donating $1.8 billion to his alma mater, Johns Hopkins University, in an effort to help lower and middle income students gain access to college. The donation, the largest contribution ever made to an education institution in the U.S., will be devoted exclusively to undergraduate financial aid, according to a joint press release by Johns Hopkins and Bloomberg's charitable organization, Bloomberg Philanthropies. As a direct result of the endowment, Johns Hopkins will be able to permanently commit to "need-blind admissions," which will admit the highest-achieving students from all backgrounds, regardless of their ability to pay, according to the university. In addition, the Baltimore-based school will be able to offer no-loan financial aid packages, reduce contributions for families who qualify for financial aid, provide "comprehensive student support," and increase the enrollment of Pell grant eligible students, which will "build a more socioeconomically diverse student body," Johns Hopkins said in a statement. An undated photo of Johns Hopkins University. In an op-ed published in The New York Times Sunday, Bloomberg wrote that "no qualified high school student should ever be barred entrance to a college based on his or her family's bank account." "Yet, it happens all the time," Bloomberg wrote. Bloomberg wrote that high-achieving applicants who come from families with lower and middle incomes are "routinely denied seats" that are saved for "students whose families have deeper pockets." "This hurts the son of a farmer in Nebraska as much as the daughter of a working mother in Detroit," he wrote, adding that "America is at its best" when people are rewarded "based on the quality of their work, not the size of their pocketbook." Michael Bloomberg speaks at CityLab Detroit, a global city summit, Oct. 29, 2018, in Detroit. Bloomberg, who wrote that his father never made more than $6,000 a year as a bookkeeper and he needed a National Defense student loan in order to attend college, graduated from Johns Hopkins in 1964 and made his first contribution of $5 to the school in 1965, according to the press release. In 2013, he pledged $350 million to the university toward cross-disciplinary education and financial aid, according to Forbes. Before this donation, Bloomberg had already donated a total of $1.5 billion to the university. The university is also aiming to address the issue of college "under-matching," in which high school students from middle and lower income backgrounds are not matched with competitive college choices but implementing an "extensive outreach and recruitment program to ensure that academically qualified students from middle and low income backgrounds understand that a world-class education ... is attainable and affordable." 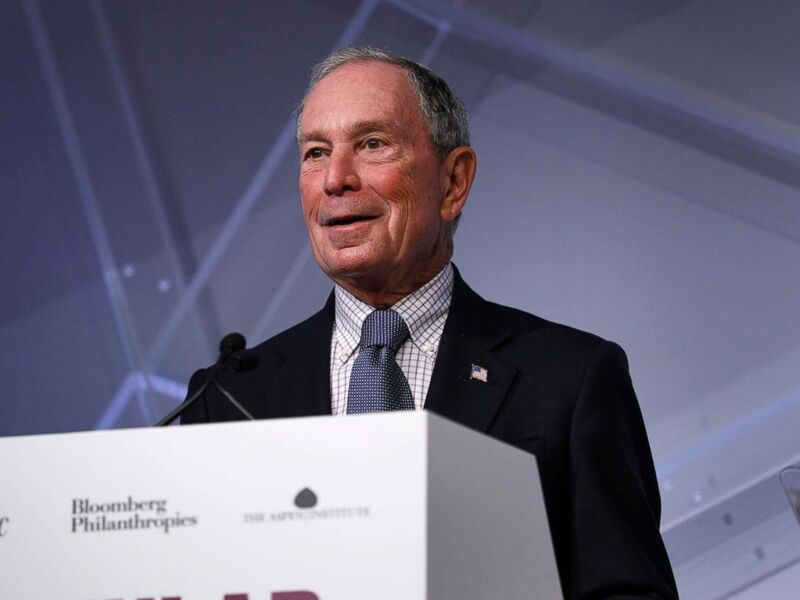 Johns Hopkins University President Ronald J. Daniels said Bloomberg's donation "affirms his believe in the promise of this country and the power of accessible higher education," describing it as "unprecedented and transformative." 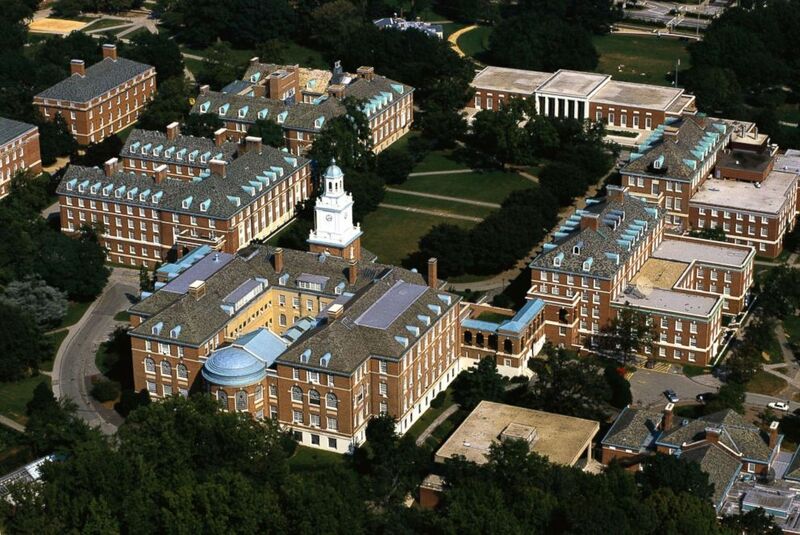 "Our university was founded in 1876 by a visionary $7 million gift from the Baltimore merchant Johns Hopkins. When it was announced, it was the largest gift of its kind. It created America’s first research university and changed the face of American higher education," Daniels said in a statement. "With today’s announcement of Mike Bloomberg’s $1.8 billion investment in financial aid, history has repeated itself."